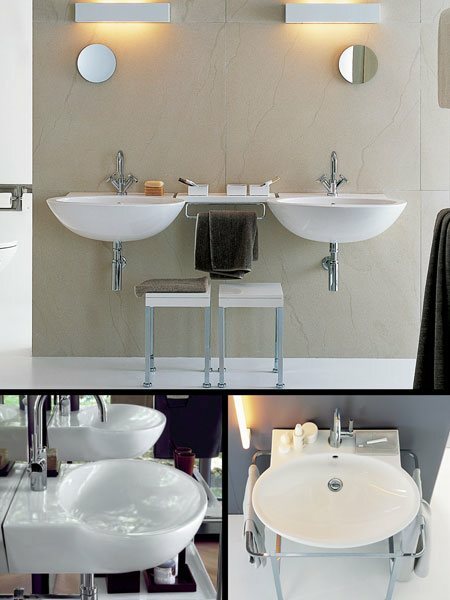 This stylish wall hung washbasin that is available in the 2 basin sizes of 600mm and 680mm wide. With its wall mounted styling this wall hung basin is designed by the top Italian designer Antonio Citterio and shows the true quality and simple effective design. Part of a designer wall hung bathroom suite collection. Taps and chrome basin trap are available as an optional extra. * Modern wall hung styling.